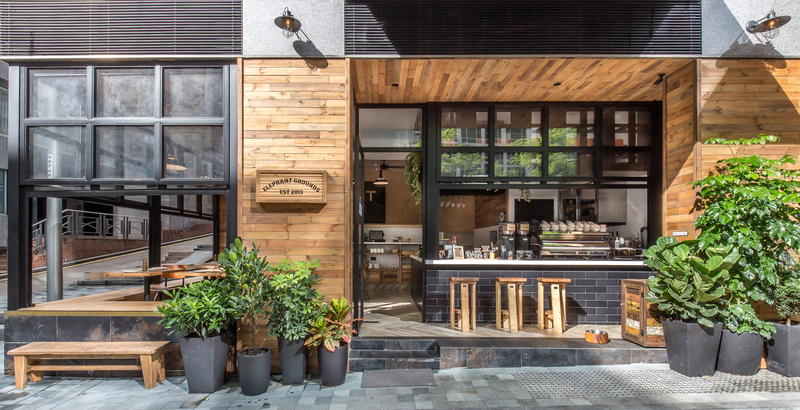 More Than Coffee: Hipster hotspot Elephant Grounds’ latest outlet in Admiralty east isn’t just about its signature artisanal coffees and ice cream sandwiches (although there’s plenty of those going). The fourth EG branch offers all-day dining with Asian-inspired dishes good for sharing, a weekend brunch, as well as cocktails and craft beers. 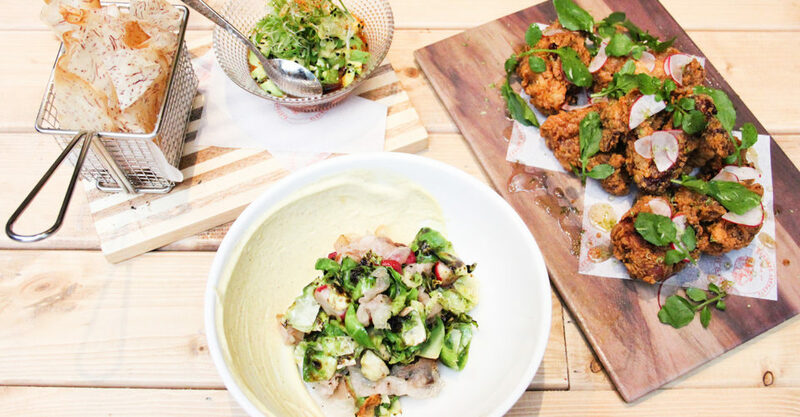 Look & Feel: You won’t miss Elephant Grounds — it’s located right in the middle of Wing Fung Street. There’s an airy, casual feel to the place, with an inviting semi-open layout. During the day, spot coffee drinkers typing away on their laptops; come night time, you might find patrons grabbing a drink or two out front. On the Menu: Find creatively presented dishes like daikon and pomegranate ($90), served with green onion, bonito flakes, crispy wonton, green apple slices and nori dressing; Brussels sprouts radish ($75) with crispy cores, guanciale and fried egg emulsion; and a list of cocktails like sake shiso mojito (a very reasonable $65). Service: Servers are friendly and speedy — always a plus! Jeng: The flavor combinations in many of the dishes work really well. Despite a long list of ingredients, the miso-marinated block cod ($135) with torched miso mayo, shimeji mushroom, snap pea and nori potato is light and crisp — a good dish for sharing. Our favorite? 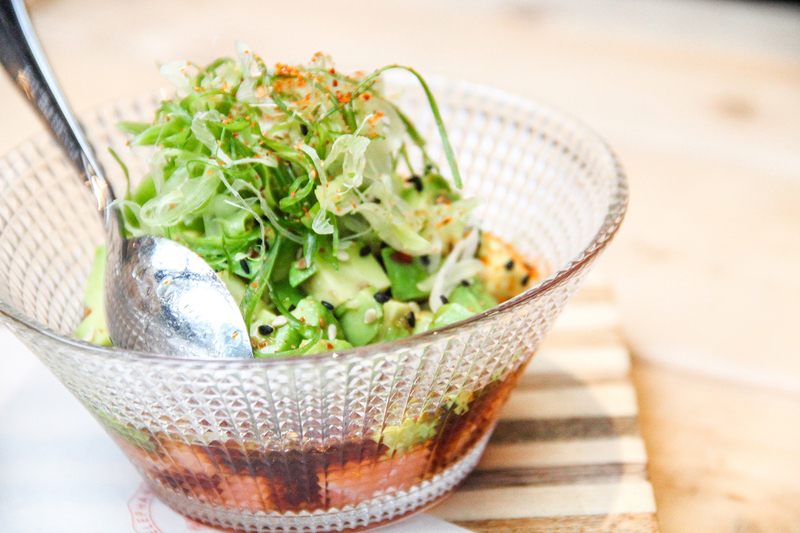 The salmon avocado poke ($100) — a moreish starter of cured salmon with avocado seasoned with chili soy, scooped onto chips. Don’t forget to leave space for the ice cream sandwich ($68): we go for the “movie night”, a satisfying sweet treat of chocolate chip cookies served with salted caramel ice cream, topped with caramelized popcorn. Not So Jeng: The honey lime fried chicken ($100), served with nori, pea cress and lime zest, is too much on the sour side for us. Also, we love avocado toast… but wouldn’t love coughing up $105 for it. Come on! Great For: Quiet bite at lunch, casual weeknight hangout. FYI: Hit happy hour on weeknights from 3pm to 7pm, with $40 draft beers, $50 per glass of wine and $60 per bottle of craft beer. This writeup was based on a complimentary media tasting. The Loop doesn’t guarantee/sell restaurant review coverage. See our editorial policy here.